Join us in the Grand Foyer for our Exhibit Hall and coffee break station. Patricia Carson, MA (Speakers) Pre-Diabetes Lifestyle Coach, Independent Living Center of the Hudson Valley, Inc.
Chuck Ruud, MPS (Speakers) Strategy Designer, Business Models Inc. Using Legal Research to Improve Public Health Practice. Pat Breux, BSN (Speakers) Director of School and Youth Initiatives, Research Foundation for Mental Hygiene, Inc.
Join us at our networking tables for complimentary coffee, tea, juice, and light breakfast fare. Pamela J Pine, PhD, MPH (Speakers) Founder and CEO, Stop the Silence®, Stop the Silence®: Stop Child Sexual Abuse, Inc.
Join us for a healthy buffet lunch! 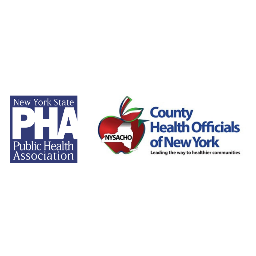 12:30- Hear from our Platinum sponsor, Health Systems for a Tobacco-Free NY, for a brief overview of what they do and stay tuned for a few raffle prize giveaways from our exhibitors! Dr. Aaltonen is the President of the American Public Health Association.